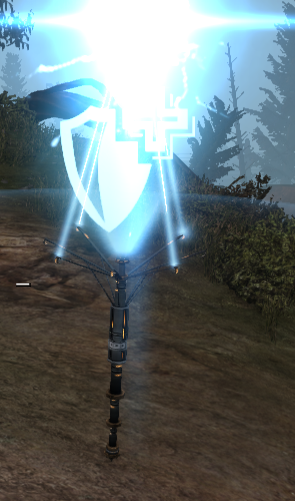 Spikes are deployable items that give bonuses to players near them. Equip them in your loadout and use 2 to deploy one. They last a limited time only. There are only three types of Spikes available and in only two rarities. Spike that replenishes the ammo pool of all allies within its radius. Spike that increases the damage dealt by all allies within its radius. Spike that adds plates of ablative armor to all allies within its radius and heals every second for 30 seconds. Uncommon versions of Spikes can be found on Supplies Vendors for a small Scrip cost. Rare versions of Spikes can be found from lockboxes or vendor specials.